Alex Perry – second of the season in the shape of a consolation. A devastating spell of first half finishing by Sholing coupled with some pretty hapless defending by Khalsa meant the home side booked their place in the FA Vase Quarter Finals. Sholing – unbeaten in 23 and winners of every league game played at their Universal Ground home this season – were two up within 20 minutes against Khalsa – enjoying a second chance in the competition after the result of the previous round was overturned. Between them, Sholing frontmen Lee Wort and Dan Mason have bagged 83 goals and it was clear from this showing why. Khalsa actually started the brighter in front of a 400-plus crowd as on two minutes Alex Woodhouse’s freekick found Tes Robinson whose flick on almost fell to Leon Miles at the far post. Sholing took the lead on 12 minutes, a wicked Alex Sawyer corner did not get cut out at the near post and Dan Mason had the easiest of tasks of heading in on the goal line. And Khalsa’s defensive failings continued on 20 minutes when a long-throw into the box caused absolute mayhem, falling to Mason who rifled home to make it 2-0 and effectively break Khalsa’s spirit. Ten minutes later and it was 3-0, Wort rampaging down the right and firing a shot which Sam Arnold did well to block and – on days when fortune goes against you – straight back at the striker who, in fairness, did brilliantly to direct the rebound home. It was almost even worse just before the break, TJ Cuthbertson really ought to have made it four for the home side as he arrived late into the box after a storming run down the left, screwing his effort badly wide. Khalsa, to their credit, came back strongly in the second half but were unable to get the early breakthrough that might have made things interesting. Mykel Beckley headed straight at keeper Ryan Gosney within four minutes of the restart. At the other end, Wort was put through and had his shot deflected wide by Robinson before Wort then misdirected a header wide from the resulting corner. Dan Westwood then forced Gosney to inelegantly bundle a shot wide of the post and from that resulting corner he made a great stop to deny the same player when he shot on the turn. 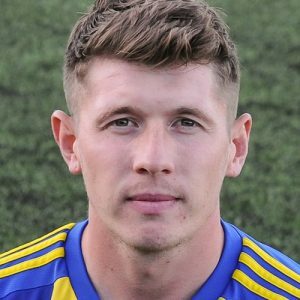 Mason had another bite at the hat-trick on 71 minutes, put through he forced a block from Arnold which again rebounded straight to the player but this time Sholing were unable to take advantage. With ten minutes to go, Khalsa got a goal which few could deny was deserved. Substitute Alex Perry stooping to head home after Beckley’s right-wing cross was tipped onto the bar by Gosney. Khalsa couldn’t make it count despite throwing the kitchen sink at the Sholing goal, indeed Byron Mason almost made it four on the break in the dying stages, only for a good save by Arnold to deny him. Sporting Khalsa: Sam Arnold, Carlo Franco, Alex Woodhouse, Leon Miles, Tes Robinson (captain), Dave Meese, Liam Armstrong (Alex Perry), Mykel Beckley, Dan Westwood (Jay Holdcroft), Rico Taylor, Josh Thomas. Subs not used: Mensah Kinch, Shawn Boothe, Adam Osbourne.